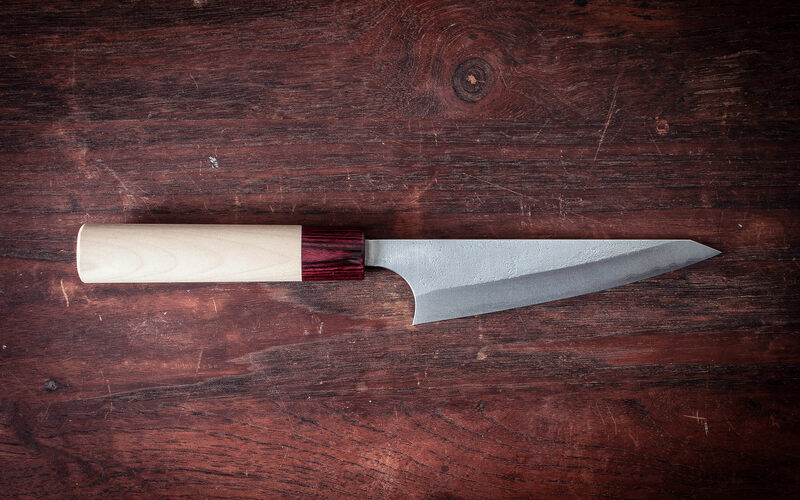 Yu Kurosaki is a Bladesmith from Takefu knife village apprenticed under Kato san. 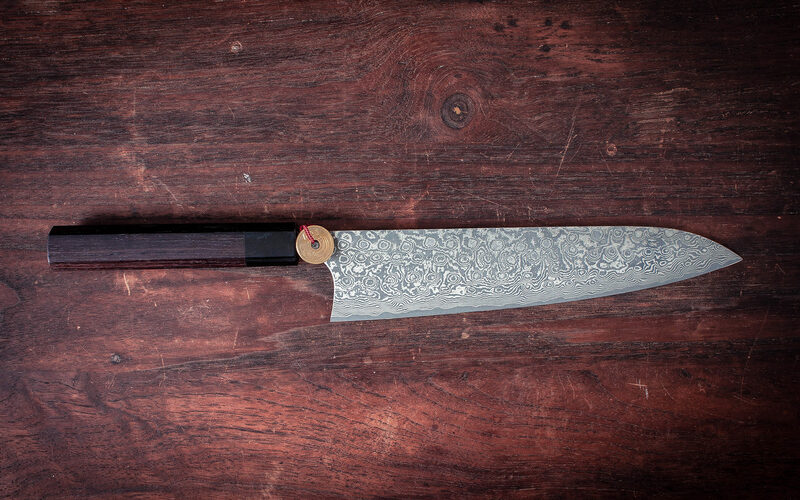 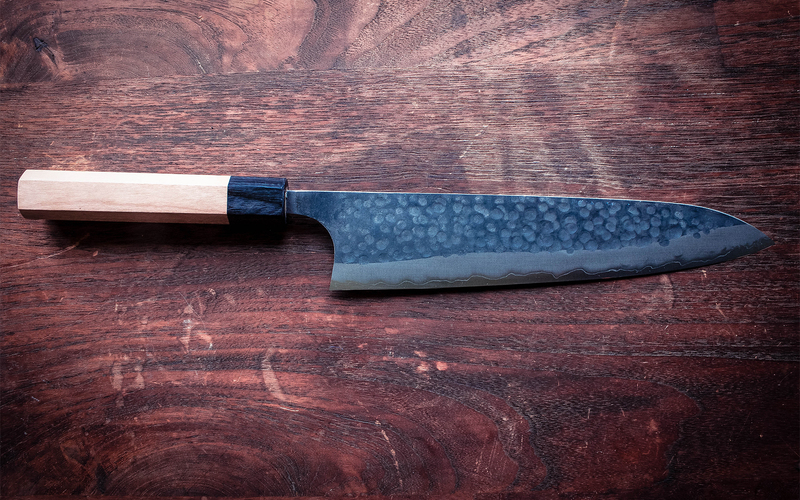 Another quality blade from Yu Kurosaki. 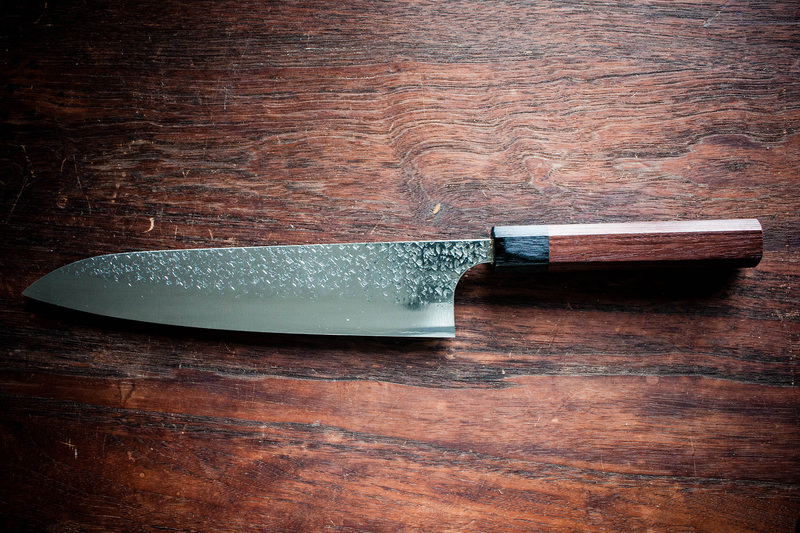 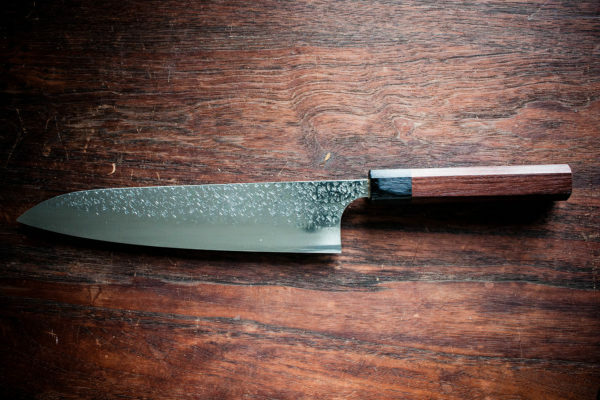 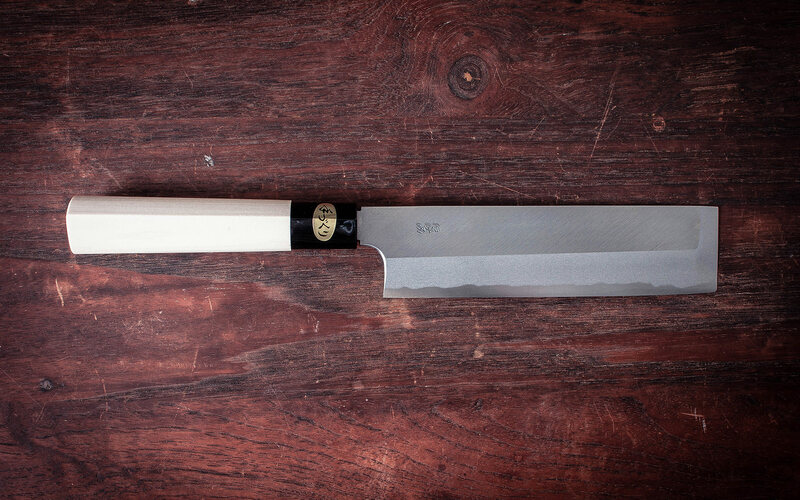 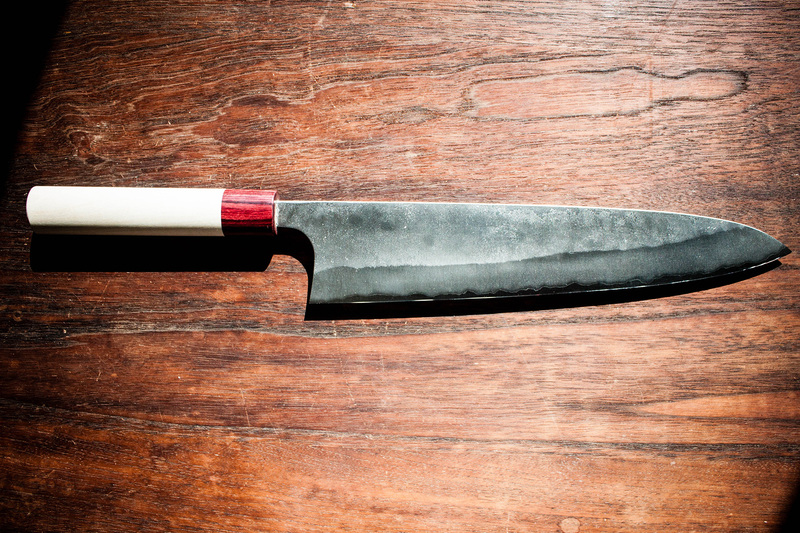 This knife is chosen with the professional chefs in mind. 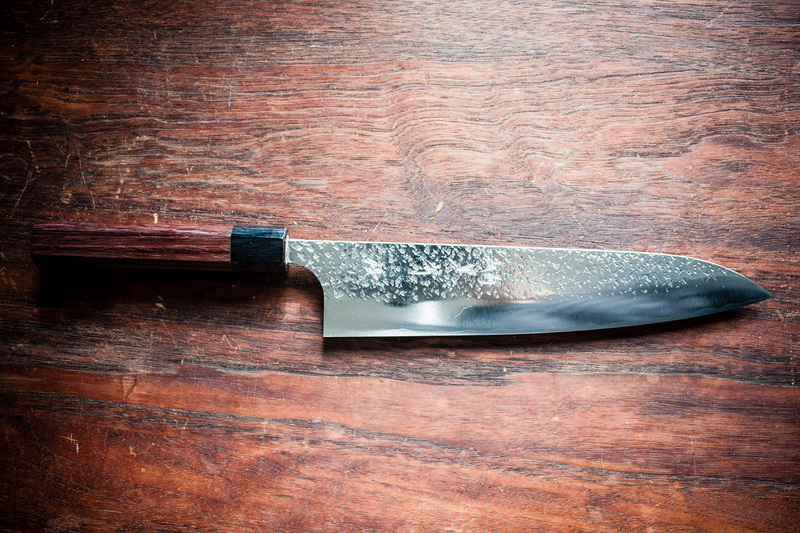 R2 steel is great as it has a high carbon content and is stainless at the same time. 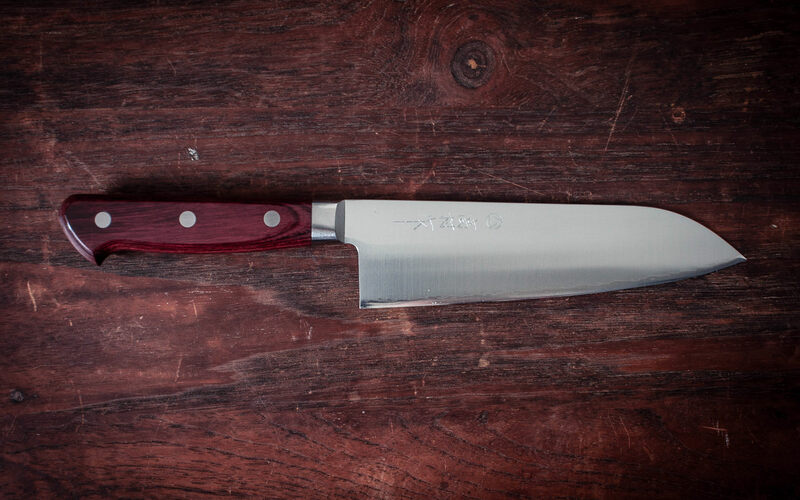 This gives you a high performing blade with ease of care of a stainless steel. All you need when you work in a high demand,busy professional environment. 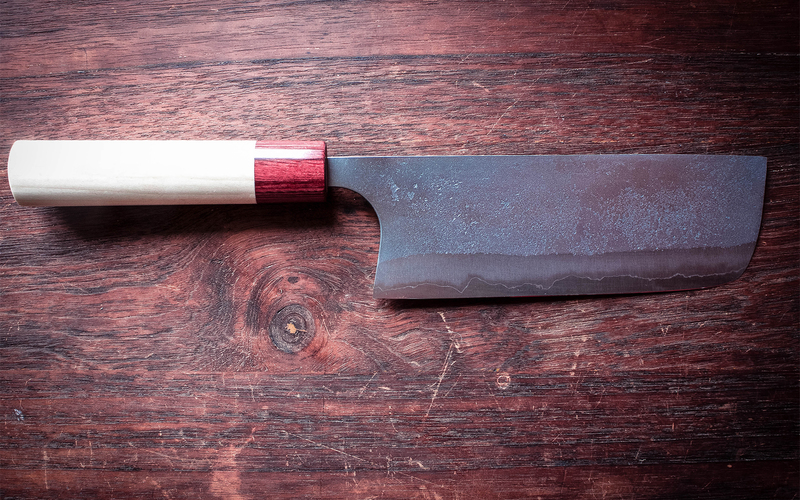 The blade is mirror polished and has a distinctive hammer pattern too. 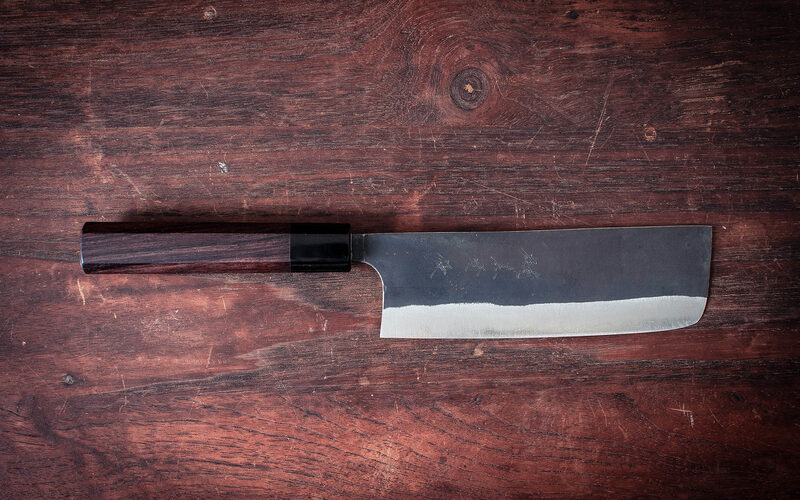 The handle is nothing but the best being an octagonal Rosewood handle.